Welcome to the archived website of the Aboriginal Healing Foundation. The Aboriginal Healing Foundation closed on September 30, 2014. This website is maintained as a courtesy of Spear Communications Group. To open many of the files available for download on this website, you will need to have a free software program called "Adobe Acrobat Reader" installed on your computer. For more information please see the Frequently Asked Questions. Please note: On September 30, 2014, the Aboriginal Healing Foundation ceased operations. Full Circle: the Aboriginal Healing Foundation & the unfinished work of hope, healing, & reconciliation. MEDIA ADVISORY (OTTAWA, September 29, 2014) – The Aboriginal Healing Foundation’s Board of Directors announced today the AHF has been dissolved, bringing an end to sixteen years of operation. "As Aboriginal people, we have every reason to be proud of what we’ve accomplished,” AHF President Georges Erasmus said this week. "The work of healing and reconciliation is by no means complete. But the past years show us what we can do by working together, and so I urge the public to support survivors by supporting this work of healing and reconciliation.” Read the press release here. The latest Annual Report of the Aboriginal Healing Foundation is now available. » Download the 2014 AHF Annual Report here. The Aboriginal Healing Foundation's latest publication—Origins of Lateral Violence in Aboriginal Communities: A preliminary study of student-to-student abuse in residential schools—is the first to look at peer abuse in the residential schools. Drawing from the professional expertise of service providers who were interviewed for this work, Origins of Lateral Violence in Aboriginal Communities is intended to be a starting point for a discussion on a very sensitive topic. Download a PDF file of the report here. Version française disponible ici. "Walking With Our Sisters" is a travelling art exhibit for missing and murdered Indigenous women set to visit 31 different locations in North America over the next six years. The Shingwauk Residential Schools Centre (SRSC) and Shingwauk Kinoomaage Gamig (SKG) will be hosting "Walking With Our Sisters" (WWOS) at Algoma University from May 5th until May 18th. "The work of creating awareness goes on – this is one more way of telling Canadians about their history,” said Garnet Angeconeb, an Aboriginal Healing Foundation board member from Lac Seul who set up the website along with former CBC Radio journalist Ashley Wright, who now teaches journalism at Algonquin College and Carleton University." Read More. (OTTAWA, Ontario, March 5, 2014) – The Assembly of First Nations and the Aboriginal Healing Foundation announced today the hosting of an Ottawa workshop from March 6-12 to create a commemorative marker for Indian residential schools. During opening ceremonies on March 6, AFN National Chief Shawn Atleo will address the artists.Download the press release here. The objective of this project, a partnership between the Aboriginal Healing Foundation and the Assembly of First Nations, is to place a commemorative marker on the site of each of the schools operated under the Indian Residential School System – a joint church-government system which operated from 1892 to 1969. This project will assist communities who wish to place commemorative markers on the sites of the 139 former Indian residential schools recognized by the Indian Residential School Settlement Agreement, or IRSSA. The National Commemorative Indian Residential School Marker Project was developed and managed by the Assembly of First Nations and the Aboriginal Healing Foundation. A total of 139 grants of $6,500 each are available, one for each school recognized under the IRSSA. Participants must complete activities related to this project by March 31, 2014. Download the FAQ (PDF) from the AFN website: click here. | Visit the facebook page for this project: click here. The latest and final Corporate Plan of the Aboriginal Healing Foundation is now available. » Download the 2014 AHF Corporate Plan here. "We should know our history, even if it isn’t pretty. Compassionate students who can think critically will make Canada better. If we hope to live in peace, we need to know the truth about ourselves." | Read the full article here. » Download the 2013 AHF Annual Report here. "The course’s content has been provided by the Legacy of Hope Foundation, a group funded through money that came with the federal government’s apology for residential schools. It will include recorded interviews with those who went through them – including some who became leaders, such as former NWT premier Stephen Kakfwi." Read more. The Aboriginal Healing Foundation has committed $500,000 to produce a digital storytelling project. Read more. A conference on Aboriginal Mental Health and Wellness, entitled Creating a New Legacy, will take place October 24 and 25 in Brandon, Manitoba. Hosted by the Aboriginal Mental Health & Wellness Committee, the conference will feature keynote addresses by: Justice Murray Sinclair, Dr. Cornelia Wieman, Dr. Barry Lavallee, and Mr. Bill Mussell. Click here to download the poster (PDF file). At the three-day Shingwauk 2012 Gathering & Conference, Richard Kistabish and Trina Bolam provided a detailed overview of the Legacy of Hope & Aboriginal Healing Foundation's "100 Years of Loss" exhibit and curriculum tool, the "100 Years of Loss" Edu-Kit …. Read story here. July 23, 2012 | "HEALING THROUGH CREATIVE ARTS"
What happens when art, music, dance, storytelling, and other creative arts become a part of community-based Aboriginal healing programs? This report describes the results of a study by the Aboriginal Healing Foundation in the use of creative arts in healing programs. Download the PDF file here. June 14, 2012 | "Northern students to learn residential school legacy" — CBC. After a successful pilot program this spring, some high school students in Nunavut and the N.W.T. will learn the legacy of Canada’s residential school system as part of their fall curriculum .... Read more. May 9, 2012 | Speaking My Truth — Order Yours Today, Free of Charge. Veteran broadcast journalist and host of The Next Chapter on CBC Radio, Shelagh Rogers, joins editors Mike DeGagné and Jonathan Dewar to present selected texts from Aboriginal Healing Foundation’s three-volume series Truth and Reconciliation. These texts reflect upon the lived and living experiences and legacies of residential schools and, more broadly, reconciliation in Canada. 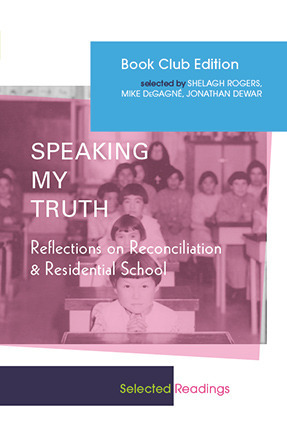 Speaking My Truth: Reflections on Reconciliation and Residential Schools is now available. English, French and Inuktitut versions can be ordered directly from this website, free of charge. | Click here to download Shelagh Rogers' CBC interview with Mike DeGagné, broadcast June 4, 2012 on her program "The Next Chapter." May 9, 2012 | "We are pleased to announce our 2012 Assembly of First Nations and Aboriginal Healing Foundation Golf Tournament, in support of the First Nations Rights Fund and the Legacy of Hope Foundation. Click here to download the tournament package (PDF file). Click here, or on the image above, to download the poster. "The promise and optimism of the late 1990s - that aboriginal people across the country could come together under the umbrella of their own health, healing and wellness agencies - is gone." "The Indian Residential Schools Resolution Health Support Program provides mental health and emotional support services to former Indian Residential School students and their families before, during and after their participation in Settlement Agreement processes, including the Common Experience Payments and the Independent Assessment Process, and those participating in Truth and Reconciliation Commission events and Commemoration activities." Click here to view a list of Indian Residential Schools Resolution Health Support Program Regional Offices. Click here to read the Indian Residential Schools Settlement Agreement fact sheet at Aboriginal Affairs and Northern Development Canada. The Truth and Reconciliation Commission of Canada's Interim Report [clicking on link will initiate download of the PDF report from external link at www.trc.ca]. The latest Corporate Plan of the Aboriginal Healing Foundation is now available for download or in hardcopy. Please contact the AHF office for a printed version of the corporate plan. Hay River promoting equality with Pride – August 17, 2011 "... according to documentation published by the Aboriginal Healing Foundation in 2007. It stated that studies on the general population noted an 'increased risk of suicidal behaviour in homosexual and bisexual youth,' while the same attention was not paid to sexual orientation among their aboriginal counterparts." "The Aboriginal Healing Foundation Board of Directors today announced that Children of Shingwauk Alumni Association and Algoma University will become the beneficiaries of the Gail Guthrie Valaskakis Memorial Resource Centre ...." » Download the PDF press release. » Visit the Shingwauk Residential Schools Centre. "That’s right, the best read you may come across this summer is free." New book looks at reconciliation by way of cultural diversity — a review of Cultivating Canada, by Ezra Winton (Art Threat). 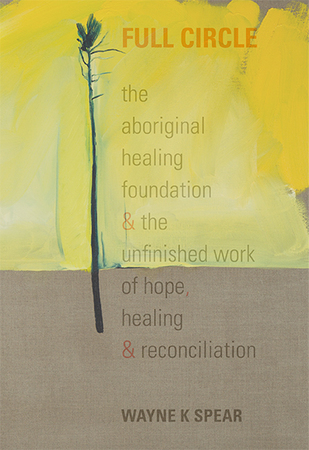 "Today, the Aboriginal Healing Foundation releases the third and final volume in a series dedicated to reconciliation. 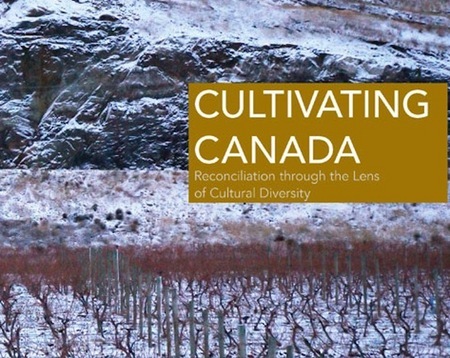 Cultivating Canada: Reconciliation through the Lens of Cultural Diversity presents essays by Canadians outside the traditional settler communities of English and French. President Georges Erasmus expressed his hope that "this broad, inclusive approach will draw Canadians of many backgrounds and circumstance into the current reconciliation discussion.” » Download the PDF press release. » Download the publication. Thursday, May 26, 2011 — The Aboriginal Healing Foundation announces the Toronto Launch ofCultivating Canada: Reconciliation through the Lens of Cultural Diversity | Please join us at 7 pm in the Lambert Room (Room 187), Ontario College of Art & Design, 100 McCaul Street in Toronto. Tuesday, May 31, 2011 — The Aboriginal Healing Foundation and Congress 2011 Announce the Fredericton Launch ofCultivating Canada: Reconciliation through the Lens of Cultural Diversity | Complimentary copies of the book will be available at the Arsenal Pulp Press bookfair booth from May 27 to May 31 and the UNB booth June 1 to 3. More details here. Friday, April 8, 2011 — Launch with Readings from Cultivating Canada: Reconciliation through the Lens of Cultural Diversity | Simon Fraser University, Harbour Centre 515 W Hastings St Vancouver, Room 1600. More details here. March 28, 2011 at 7:00pm, Saint Paul University on 223 Main Street in Ottawa presents "From darkness of heart to the heart of forgiveness: Beyond sexual victimhood." AHF Board Member Garnet Angeconeb will join David Frank (Director, Ahousaht Holistic Centre) and Michael D. O’Brien (Internationally-acclaimed author and artist) for this event. There is no admission charge. » Download the poster. » Read the speech. On March 2, 2011, the Aboriginal Healing Foundation President, Georges Erasmus, delivered the keynote address at the Truth and Reconciliation Commission of Canada's conference "Sharing Truth — Creating a National Research Centre on Residential Schools" in Vancouver, BC. » Read the speech. » Watch the video. To open many of the files available for download on this website, you will need to have a free software program called "Adobe Acrobat Reader" on your computer. 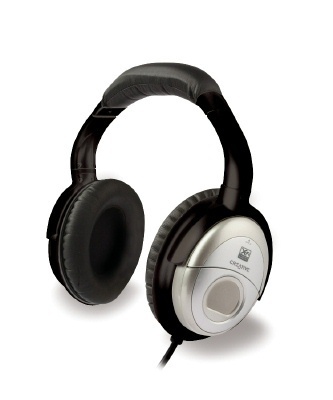 For information on this software program, and the PDF file format, please see the Frequently Asked Questions section of our site.